Wendy Pua | Malaysia Chinese Lifestyle Blogger: I 100% Love Cosme Decorte Moisture Liposome. my skin got the 360" changes with Cosme Decorte Moisture Liposome. Last week, I went to Isetan KLCC with Jess,and grab a set of 3 days Moisture Liposome sample. It claimed that "Improves moisture absoption for your skin"
after washing my face , I used half sachet on my palm and smooth evenly over skin. I feel my thirsty skin really absop to Moisture Liposome. still using it after washing my face. then follow with my hada labo moisturizing lotion. I touch my face before going to wash my face. i feel the softness of my face that i never have before! I can feel my Skin79 BB Cream can spread it evenly and smooth. because it is balancing back my oil level in my skin. I really started to fall in love with this Moisture Liposome. it is not harsh to me and work very well. I realised my pores visibly smaller!! Need to say goodbye to the last sachet of Moisture Liposome that i used! Thanks for giving me a changes. 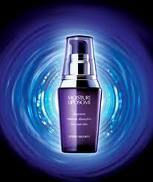 Moisture Liposome is already in my wishlist! wow, great! it works! i hope can try the sample too! Yes, It is very work to me! i like it super very much! fix your english please. it hurts my eye just to read it. Pls don't insult the blogger, she's improving her english by blogging. She's from chinese ed, and I am proud that she tries to blog in english so that everyone can understand what's going on in her blog. Not everyone has perfect english, but i admire those who tries. Annoymous : If you never a reader here, they how come you are here leaving comments ? Don't bother to come. I think she is a blogger and have a right to say whatever she wanted in whatever ways in her own blog. I can understand what she is blogging about , why can't you? Anonymous i dunno who are you, but you are giving me a motivation to improve my better english!